Programme countries: scholarship applicants who are nationals of the 28 EU Member States, Iceland, Liechtenstein, Norway, the former Yugoslav Republic of Macedonia, and Turkey. Partner countries: scholarship applicants from any other country in the world, provided they are not currently residents of these eligible countries (above), nor have carried out their main activity (studies, work, etc.) for more than a total of 12 months over the last five years in one of these countries. 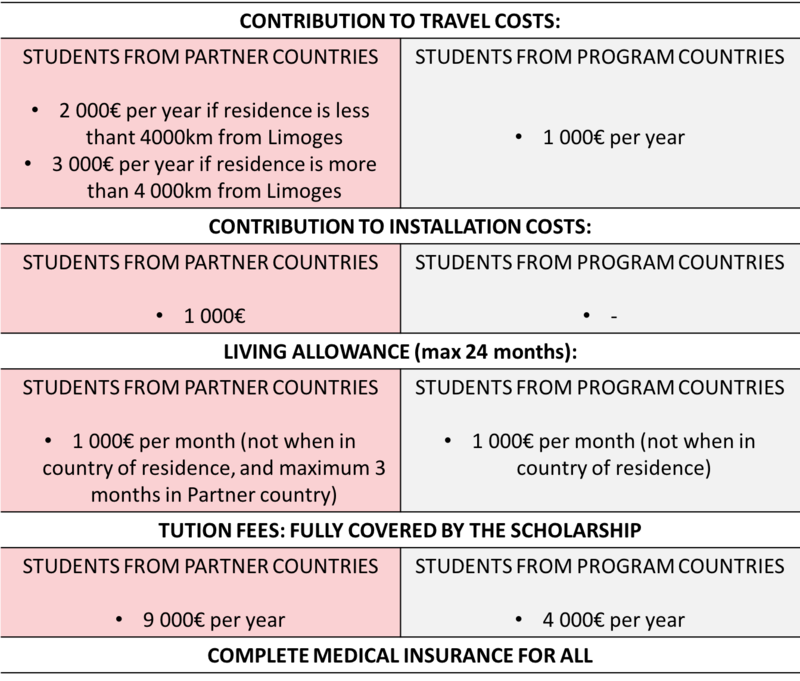 Students with a Partner Country nationality who do not fulfil the Partner Country criteria defined above (12-month rule) count as Programme Country students. Students with a double nationality (of Partner and Programme Country) must specify the nationality under which they submit their scholarship application. Please not that scholarship are not given to scholarship holders for the periods (study/research/placement/thesis preparation) spent in their country of residence.